Fellows will attend a Leadership Institute retreat in January and March of 2017, as well as seeking entry to a Civic Connections Project and joining a Members Network, with support provided by Chicago Community Trust, Exelon, BMO Harris, and Blue Cross Blue Shield of Illinois. 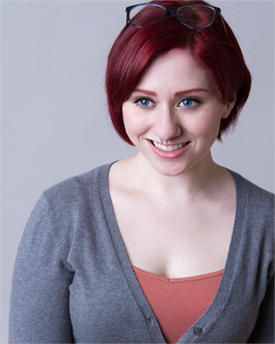 In addition to her work at Thresholds, Caity-Shea is also a national award-winning playwright and actress whose work explores trauma, invisible disabilities, and gender-based violence. This entry was posted in News and tagged ADA 25, ADA 25 Advancing Leadership, Caity-Shea Violette, The Chicago Community Trust, Thresholds. Bookmark the permalink.